Reviews - Heal Your Gut - The best information in ONE spot! Buying essential oils can be a confusing process. It seems everywhere you turn, there are essential oils for sale . I bet you have been approached by your friends and neighbors who sell essential oils through direct marketing. You can even purchase essential oils at the grocery store. If you shop on Amazon there are dozens of essential oil brands to choose from. To sift through the essential oil purchasing process I’ve written this post to review a brand called Rocky Mountain Essential Oils. I hope this review helps you understand what goes into a quality brand of essential oil so you can make the best essential oil purchase for yourself and your family. Since essential oils are growing in popularity, more and more brands are available for purchase just about anywhere. It is a huge industry. The concern with many natural health experts is that proper usage is not fully understood by the users and the people selling them via direct marketing. Just because something is labeled natural doesn’t mean it’s guaranteed safe. Some essential oil companies skip steps and distil their product at high temperatures and high pressure. Low temperatures and low pressure turn out the best quality oils. Essential oils should be steam distilled, but some companies are using chemical solvents to distil their oils. Some manufacturers fake authentic certification for their products. Or use oils that have been distilled from poor crops. Or use crops that have been improperly handled or oils that have expired. This is poor-quality and a problem in the industry. Many oils are adulterated, meaning fragrance, chemicals or cheap oils are added to the product. Your ‘pure’ oil may contain a small percentage of pure oil and higher percentages of chemicals. One of the biggest mistakes users make is applying oils directly to the skin. Essential oils are highly concentrated. It takes huge amounts of plant material from the plants, fruits, and barks that essential oils are made from in order to get one bottle of essential oil. Putting this much-concentrated oil on your skin is asking for irritation or getting too much of the active ingredients in your bloodstream. Using oils as a ‘preventative measure’. Some people ingest large quantities of oil daily. Some use 30 or more drops a day. The safety of ingesting essential oils is not well documented and should only be done under the supervision of a trained professional. If you don’t have a particular health issue, blindly drinking essential oils is not smart. The quality of the diffuser. The diffuser can burn your oils or not disperse properly or break down the oil so it’s actually effective when you breath it in. For more information about effective diffusers, read here. Not understanding the latin name of the oil you are using. Essential oils come from plants and those plants have a latin name that should be printed on every bottle of essential oil you have. If you are using lavender, what type of lavender? It’s very important to understand the type of plant the essential oil is made from so you can help the condition you are trying to alleviate. What To Look For When Purchasing An Essential Oil brand. The suppliers are a small sized business. The supplier is available to provide material safety sheets of MSDS on demand. The supplier is owned by an aromatherapy practitioner or essential oil specialist. The supplier has a non-controversial reputation. The supplier is well known by industry experts. Does the essential oil company promote unsafe usage of essential oils? For example, a certified Aromatherapist trained at the clinical level must have to adhere to safety rules to remain registered. However, many MLM distributors encourage ingesting oils. These practices are prohibited by the AIA (Alliance of International Aromatherapists). Terms such as “therapeutic grade” or “clinical grade” are used by essential oils to claim their superiority over other brands. These terms have no meaning as there is no standardization of essential oils. These terms are basically meaningless. Not having an organic label. Oils should be organic otherwise any pollutants or chemicals will be concentrated in the oil. Organic may mean different things to different countries, so again, knowing the suppliers is a huge advantage. No customer service. You want to purchase oils with companies that can answer any questions you have and be able to produce testing information upon request. So, now you know what to look out for and what to look FOR in your essential oil company. I am sure there are other companies out there that fill the bill, but this post is about Rocky Mountain Essential Oils. This company delivers on all of the above. Rocky Mountain Essential Oils, formally known as Native American Traditions, was founded by Paul Dean. Paul Dean was in the essential oils industry since 1997. Why Rocky Mountain Essential Oils? Their oils are grown in remote areas where plants are indigenous to the area where there are no chemicals and only natural fertilizers are used. Certificates are available upon request with the safety and purity information (MSDS). You can get this information on any oil you have with the batch number provided on the bottom of the bottle. Absolutely no solvents are used for distillation. 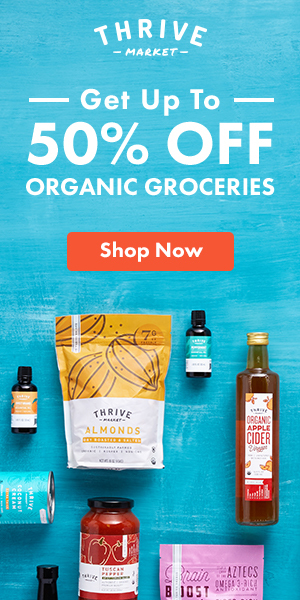 Their oils are organically certified and organically grown or wild-crafted. The Latin names are listed on their website as well as the country of origin. The company makes no claims about ingesting the oils or using them in an unsafe way as outlined by the Alliance Of International Aromatherapists. They recommend caution when using the oils. The oils are not heated or adulterated in any way. The prices of RMO’s oils are reasonable. Rocky Mountain Oils boast a no-questions-asked 90-day product return policy. Trusted suppliers that meet stringent product quality guidelines. If a sample is rejected due to contaminant, adulterants etc, no order is placed. If the sample passes the GC/MS test a bulk order is placed for the same batch. After the bulk order is received, additional 3rd party testing is done to ensure that the quality of the oil received is the same as the original sample tested. Each essential oil is carefully bottled in protective amber glass bottles by trained professionals using state-of-the-art equipment. Bottles are securely sealed, labeled side and top, and prepared to ship to customers. Rocky Mountain Essential oils now use sustainable packaging for a healthy environment. Essential oils are growing in popularity. It seems everywhere you turn, someone is selling them via network marketing companies or even at the local grocery store. Purchasing them can be a confusing experience for a lay person. Since essential oils have the power to heal, using them in the wrong way can have undesirable effects. Unscrupulous companies may jump on the bandwagon and offer low quality oils, or oils that are not pure. There are many considerations to take into account when purchasing essential oils like whether or not they are pure, or batch tested and independently tested. Rocky Mountain Oils meet all of the requirements of a top quality essential oil company. Their products meet all the safety standards and independent testing. Their products are harvested in areas where pollutants and contaminants are not used. I highly recommend Rocky Mountain essential oils. In the complicated, confusing world of essential oils, Rocky Mountain Essential oil brand is one to feel confident in. Please leave a comment below, I love to hear from you! Cod liver oil is high in anti-inflammatory omega-3 fatty acids and fat soluble vitamins A and D. These nutrients help fight inflammation and build the immune system which is critical for many health challenges, especially irritable bowel syndrome (IBD). Below are the best brands of cod liver oil on the market today. Vitamin D is difficult to get from whole foods and cod liver oil is one of the top sources. However, cod liver oil that you can purchase today may have ratios of vitamin A and vitamin D that may not be optimal for good health. Vitamin A can be toxic in high quantities and modern processes of cod liver oil have reduced the vitamin D content, making the ratio of vitamin A greater. This fact has concerned many experts. Read more about cod liver oil here. Vitamin A also protects against vitamin D toxicity according to Michael F. Holick, MD PhD, a vitamin D researcher. His research suggests that vitamins A, D, and K2 should be consumed in proper balance for safety and health benefits according to an article by the Weston Price Foundation. There ARE high-quality cod liver oil brands available today with correct ratios and levels of nutrients. Knowing what brands that are of high quality and have the right ratio of vitamin D and A are extremely important. I hope you enjoyed this article on the safest brands of cod liver oil. Please leave a comment, I love to hear from you! Linda Watson is a Certified Functional Health Coach practicing in Newtown Ct. When you’re suffering from any type of gut health issue, finding relief with products that actually work is so important for healing. Today I’m going to explain the 4 best Life Extension vitamins for gut health and how they can assist you with healing your digestive tract. Life extension is a trusted brand of vitamins and has been for years. I use them regularly because I am rest assured they are high quality and have the required, effective therapeutic dosage I’m looking for. When dealing with any illness or health challenge, if you decide to use supplements, herbs or another non-medicine approach, you want to be assured that what you are taking is effective and has the therapeutic level of supplement that can actually benefit you. If you’re like me, you’d also like to see a little science behind the product as well. If you suffer from digestive issues like millions of people today, taking supplements is very important and you want to spend your money on quality. Life Extension came about in 1980 to fill a gap in scientific research pertaining to identifying technologies that can delay/reverse aging and premature death. Their scientific research transcends academic institutions, medical companies, and conventional thought. Conventional, mainstream research focuses on heart disease, stroke, cancer and Alzheimer’s. The main causes of death today. Life Extension provides scientists with millions of dollars every year to conduct research geared toward the prevention of or postponing of these diseases so humans can live longer with a higher quality of life. Life Extension’s clinical research involves the exploration of innovative dietary supplements, pharmaceuticals, cosmetic and medical devices. As a result, their dietary supplements and the formulations are always based on their research and have the recommended dosage for therapeutic value. Because of Life Extensions clinical research in the area of supplements for health conditions their research findings end up in their supplements. Knowing that you are taking the right vitamin for the right condition and at the appropriate dose makes taking Life Extension supplements a no-brainer. Digestive challenges harm the quality of life for many Americans today. IBS is on the rise and is becoming an employer’s nightmare. Many people are missing workdays due to IBS and work productivity is lower when employees suffer from IBS. IBS sufferers can experience gas, bloating, pain, constipation, reflux, and diarrhea. GERD or reflux is when digestive acids make their way to the esophagus causing heartburn and pain. This can be due to too little or too much hydrochloric acid in the stomach. Far Infrared Sauna Health Benefits – The Best Detoxifier! April 28, 2017 Linda Watson14 Comments on Far Infrared Sauna Health Benefits – The Best Detoxifier! So what exactly does far infrared mean? Why is this type of sauna superior to other types of saunas? Far infrared sauna health benefits are very different than your standard moist heat sauna. I guess you can say this is not your grandmother’s sauna! For a little history of saunas and more information on how saunas can improve gut health, read more here. Saunas have been used for centuries and it’s a practice that is still used today because there are definite health benefits when the body is heated and sweating. Wet Sauna This is also called a ‘traditional sauna’. A room constructed of softwood which contains a single, electric heater. Temperatures can reach 190 degrees Fahrenheit. Water goes over the rocks in the heater which creates steam and moisture. This super hot air creates a very hot environment that is well tolerated due to the lack of humidity and the softwood does not get hot. This type of sauna aids in perspiration and a deeply cleansing experience. You can also use this type of sauna without pouring water over the heater and thus experience a more dry climate for the user. It’s personal preference. Far Infrared Sauna An infrared sauna is also a room constructed of softwood. This type of sauna has anywhere from 4 to 7 heating panels surrounding the user. The temperature does not get as hot as a traditional sauna with temperatures that generally do not exceed 140 degrees. There is no steam or water used in the infrared sauna. Wet saunas and far infrared saunas are actually very different types of therapy and to get the intended benefits the user should understand what results they are looking for. What Does Far Infrared Mean? Far Infrared rays are the invisible rays of the sun. These rays were first discovered in 1800 by a scientist named Sir William Herschel. He discovered that the sun emitted not just visible rays like red, orange, yellow, green, blue and violet – but there were also invisible rays named infrared. You’re probably thinking that the rays of the sun are dangerous and not healthy for our skin, but far infrared rays are healthy rays and are responsible for photosynthesis used by plants for energy and for humans, research has shown that these types of rays stimulate metabolism. Far infrared rays DO NOT damage the skin or cause sunburn like ultraviolet light from the sun can. Far infrared rays can penetrate human tissue and are responsible for deep healing. A study published in Photonics Lasers Med. found far infrared rays as a promising treatment modality for certain medical conditions. Below is a list of conditions that far infrared therapy can help with. Pain relief: deep heat that penetrates the tissues increases blood circulation. This increase in blood circulation detoxifies the body by eliminating waste products and increasing oxygen to muscles. This relaxes the muscles relieving muscle tension due to any chronic autoimmune condition, a hard workout or fibromyalgia. Infrared heat reduces nerve ending pain and muscle spasm. Stress relief and sleep like a baby. Far infrared saunas activate the parasympathetic nervous system (the rest and digest part of your autonomic nervous system) that allows your body to relax. A relaxed state will help your sleep. Weight loss. Far infrared heat can burn over 500 calories in a 30 minute session! What a great way to drop unwanted pounds without exercising like a maniac! 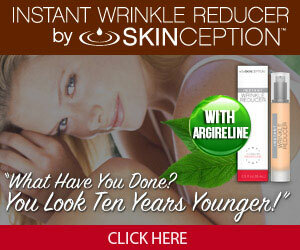 Younger looking, wrinkle free skin. Far infrared heat renews elastin and collagen production which can dramatically reduce lines and wrinkles. Some users claim that pigmentation problems are also lessened and resolved. Varicose veins and stretch marks will benefit from the deep penetrating heat. What a great anti-aging tool! Cancer therapy. Far infrared therapy has been used for over a decade to increase white blood cells and killer T-cells that fight cancer. The benefits of increasing the immune response is another benefit in the fight against cancer. Strengthening the immune system helps your body fight cancer naturally. Heal your gut. The increased circulation to the gut area is healing to the lining of the stomach. Improves digestion and can calm inflammation. If you suffer from any intestinal disorder, an infrared sauna is a wonderful healing therapy tool to have. In conclusion, far infrared saunas are a type of sauna that delivers the invisible and therapeutic rays of the sun to your body. These rays have a deep healing effect on the body relieving a range of conditions. As opposed to traditional saunas that use water to heat the air, infrared rays used in saunas are a dry, penetrating heat and actually get deep into your tissues. With all these wonderful and documented health benefits of infrared sauna therapy, wouldn’t you LOVE to have one in your own home? I bet you think it’s completely unaffordable, but it’s not! Infrared saunas are completely affordable. You can check out more information on some brands here. I’ve also listed another couple of my favorites below. Radiant Saunas 1 person. $972 dollars. (Radiant also makes 2 person, 3 person and 4 person saunas) Are made of hemlock wood, which is a quality wood preferable for infrared saunas. Radiant Saunas products are safe to use even by people who have a low tolerance to heat. Radiant saunas emit low levels of EMF so you are guaranteed a safe experience. It’s carbon heaters are strategically placed for maximum health benefits. You can easily adjust the LED control panels so you have the most comfortable heat settings. This brand also offers a sound system with built in speakers to help you relax. Dynamic Saunas 2 Person. $1369 (also available in a 3 person) This unit is made with quality materials and wood. It offers 4 ceramic heaters which heats to maximum of 130F. This makes the Dynamic brand a very safe experience in comparison to traditional saunas. The dual control panel located inside and outside the unit features an LED display which makes the internal temperature perfect for your individual sauna session. This unit also has an MP3 Aux connection with speakers. The built in lighting makes this a truly enjoyable sauna experience! For more information on infrared saunas click here. Please leave a comment below! I love to hear from my readers. How Does a Diffuser Work – Quality Matters! April 23, 2017 Linda Watson21 Comments on How Does a Diffuser Work – Quality Matters! So you purchase top quality essential oils to help with natural healing for a range of conditions and then you buy a cheap diffuser for aromatherapy. Some diffusers release essential oils into a small area around the diffuser and you’ll never get the benefits unless you sit within two feet of it. Some diffusers lack the ability to actually diffuse the oils. Others are so poorly made that they break down and you end up paying more money in the end. So, how does a diffuser work and why does it matter? What Is The Purpose Of A Diffuser? Essential oil diffusers are specifically designed to break the essential oil into small particles and disperse it into the air where you breathe in the particles for a therapeutic affect. Using the highest quality essential oils is critical as you are breathing the particles into your lungs. Using the highest quality diffusers is critical as well. To learn more about quality essential oils, read here. Ultrasonic diffusers – creates a fine mist with the addition of water into the air. Nebulizing diffusers – does not use water. The diffuser breaks up the oils into small molecules and is released into the air. This diffuser has the most therapeutic value. Any other type of diffuser may be enjoyable to use, but does not offer any real therapeutic value, stick with the ultrasonic and the nebulizing. About Diffuser World – Earl Sevy is the inventor of Diffuser World cold air diffusers. Since 1999, he has been perfecting the essential oil diffuser. Since then, the Aroma-Ace™ Cold Air Atomizing Diffuser took the industry by storm. More of these atomizing diffusers have been sold than all of the other products combined in years prior to its release. The Aroma-Ace™ continues to be the number one seller in the world, and it’s easy to see why. Their diffusers are built with sound construction and quality materials. If one breaks down, they are quick to repair or replace. This is a company that focuses on one thing and that is essential oil diffusers. Making an investment in your health with a Diffuser World diffuser is a smart choice. Is a powerful, compact, and easy to use essential oil diffuser system for aromatherapy. It has a unique design and one of the best diffusers for essential oils. It works by using a pump to atomize the essential oil into a fine mist. The resulting particles are tiny enough that they will remain suspended in the air for a several hours after the diffuser is turned off. This makes them useful for “cleaning” the air of germs and for respiratory support. Since these particles remain in the air for hours, they remain intact and can also combat viruses, bacteria, mold, pests and odors. Unlike most diffusers which require you to place drops of oil into the appliance, with Aroma-Ace you can connect a bottle of oil directly to the unit. This makes changing oils easy and mess free, so there is no need to use droppers or accidentally get oil on your skin while refilling, and is economical since you are using every last drop in the bottle. There are no glass parts to break (or clean). As a nebulizer, it uses pure essential oils. This is more therapeutic as the oils are not diluted in water. No heat is applied to the oils. Cold diffusion maintains the oil’s natural state, whereas heat can alter an oil’s properties due to uneven evaporation of its component molecules. Covers a large area—1000-1500 sq. ft means this one unit will cover most of your house. The three controls on this device are for output, rest time, and run time. The latter two controls allow you to diffuse oils intermittently. Since this diffuses undiluted oils it is important to only run your diffuser for 10-15 minutes a couple times a day. Diffuser World manufactures these in the USA and offers a 5 year warranty on this product, which is amazing for a small appliance such as this. If you are looking for a nebulizer, this unit has several features that will make it your top choice diffuser. It is sturdy, requires minimal maintenance, has fantastic coverage and a built in timer. I can’t say enough good things about this diffuser. Again, if you are looking for a therapeutic diffuser, this can’t be beat. The most efficient form of diffusion! Unlike essential oil burners and heaters, AromaSens diffuser uses ultrasonic technology which converts the oil and water under high frequency vibration into a fine cool mist. The mist is then diffused throughout the entire room creating a natural spa-like atmosphere. No heat, no chemicals or pump needed. The AromaSens Ultrasonic Aromatherapy water diffuser is easy to use, safe and silent. The AromaSens comes complete with a calming light that can be turned off at any time. It offers high or low output, continuous run time, or run shut off after one or two hours. A digital sensor automatically powers off the unit when water level drops too low. Check out Diffuser World’s other high quality diffusers for all budgets. In conclusion, purchasing a high quality diffuser that will offer you the best therapeutic uses for your essential oils is an investment in your health. If you truly want to get the amazing health benefits of your expensive and high quality oils, then purchasing a high quality diffuser is essential. Please leave a comment! I love to hear from my readers. Probiotics are microorganisms that offer some form of health benefit to the host on which they live – they can be found in various foods. Probiotics are believed to play very important roles in regulating proper intestinal function and digestion – by balancing intestinal micro-flora. The best natural probiotics are those with minimum ingredients in the product and one that has an abundance of diverse bacteria. Probiotics are found in natural whole food and in supplement form as capsules, liquid and chewables. Probiotic supplements are natural remedies that a lot of people can benefit from. With so many different products to choose from, of course, it can be difficult for people to find exactly what they are looking for. It’s going to be up to you to learn about probiotic supplements and how they can improve your digestive health in order to get what you deserve. Below are the best natural probiotics. Garden of life probiotics is the only probiotic formula that contains a unique whole food blend with Homeostatic Soil Organisms (HSOs). The HSO probiotic blend in Garden of Life probiotics helps support the normal gastrointestinal balance of good and potentially harmful bacteria to help maintain a balanced, healthy internal environment. These probiotics promote regular bowel function and help maintain an already healthy immune system both of which are beneficial to overall health. Maximizes the benefits of a healthy diet by supporting normal absorption and assimilation of nutrients in the gut. Very importantly, and unlike many other probiotics on the market today, Garden of Life Probiotics can thrive in the toughest environment and are undeterred by stomach and bile acids. Garden of Life has a proprietary Replenish Blend ingredient which facilitates the fermentation process in the gut to make nutrients more available to the body. Free of Gluten, binders, fillers, carriers, artificial colors and preservatives. Probiolicious, Rainbow Light’s catch name for their probiotic blend, makes it easy to support a healthy digestive and immune system. Featuring unique, shelf-stable prebiotic support that nurtures probiotic growth. Prebiotics are precursors to probiotics and are the food that probiotics feed off of. Rainbow Light probiotics are protected by a natural coating that can survive manufacturing, shipping and stomach acid to reach the digestive tract in sufficient numbers to thrive, promoting digestive and immune health. Dr. Ohhira’s Probiotics is the world’s most popular premium probiotic supplement and one of my favorites! It contains 12 synergistic strains of probiotics including lactobacillus and bifido bacteria which work together to keep your digestive system in balance. Lactobacillus acidophilus, Bifidobacterium infantis, Infantis, Lactobacillus plantarum, plus 9 other strains. These strains have been found to be effective in helping a number of gut health issues. Read more about the benefits of bifidobacterium infantis here. Dr. Ohhira has developed a growth/production process that requires from 3 to 5 years of fermentation which exceeds the industry normal. This extended fermentation process enables the strains of bacteria to grow and proliferate, and also results in the production of substantial metabolic byproducts such as organic acids, short-chain fatty acids, various vitamins, amino acids and other accessory nutrients. These are all of the beneficial compounds that are normally produced by probiotics in the GI tract. With Dr. Ohhira’s Probiotics, you get the 12 strains of probiotics plus all these other beneficial compounds. This probiotic definitely works by making bolstering the good bacteria, making it alive and effective. Positive changes may be seen just after taking the first capsule: less bloating and overall improvement in digestion. Probiotics of the Bifido bacterium group should help with constipation. Lactobacillus rhamnosus will relieve symptoms of yeast infections. Nutrition Now PB8 has 7 billion of 8 different strains in each 1 capsule so one a day should be enough. Healthy Origins contains 30 Billion CFU’s which is a powerful blend of 8 friendly bacteria strains and 30 billion colony forming units (CFU’s) which can help support a positive balance of micro flora in the intestines. Supplementing with probiotics may help to restore and maintain friendly bacteria colonies that were depleted by stress, antibiotics and gastrointestinal disturbances. Healthy Origins Probiotic 30 Billion CFU’S is stomach acid resistant to ensure that the maximum amount of friendly bacteria reach the intestinal tract to exert their greatest benefits. Probiotic 30 Billion CFU’s is stable at room temperature. Refrigeration is not required. This product is not gluten free and the capsules contain silicon dioxide which purists prefer not to have in their supplement. Taking a quality probiotic is the first step in healing your digestive issues. I hope you found this review helpful. If you’d like to read more about probiotics and how they are healing for your digestion, click here. Align Probiotic Review – What’s so special about it? March 28, 2017 Linda Watson12 Comments on Align Probiotic Review – What’s so special about it? Probiotics are an important supplement to take daily for most people and even children. In America, our diet lacks the beneficial bacteria and enzymes that fresh, whole foods provide. Our body is colonized by bacteria. In fact our body is 80 percent bacteria! Experts believe that we are governed by our bacteria. What a thought! So if we are not eating the healthy bacteria provided to us from a diet filled with fresh whole foods, then the bad bacteria overtakes the good leading to all kinds of health issues ranging from stomach issues, allergies, asthma, skin conditions to even cancer and autoimmune diseases. Align brand probiotic is manufactured by the Procter & Gamble corporation. According to the Symphony Health Solutions 2014 survey, Align was the number one recommended probiotic by gastroenterologists. I’m usually not a fan of OTC supplements, so I decided to do an Align probiotic review to let you know if it’s a worthy product found in grocery stores and pharmacies. Somewhere along the way we are losing our populations of good bacteria as we strive to avoid the bad! With our obsession for cleanliness in the U.S., we are sacrificing beneficial bacteria to thrive as well. This is especially important for infants for their future health. In countries where there is a scarcity of allergies and gut issues, B. Infantis bacteria is abundant. In the U.S., our babies are deficient. What Is Bifidobacterium Infantis 35624? Align brand is the only manufacturer of Bifodobacterium Infantis 35624.They call their patented brand Bifantis B. Infantis probiotic strain is one strain of bacteria that colonizes our digestive tract. It is found in abundance in the digestive tract of newborns and makes up about ninety five percent of their digestive system but makes up only thirty percent of the digestive tract of adults. Newborns have a sterile gut bacteria, but it soon populates quickly and B. Infantis is abundant. This is a critical probiotic for newborns. Align has patented a special formulation of B. Infantis 35624, but there are other products on the market that contain B. Infantis probiotic. So it’s a little confusing. Align has a patented source, whether or not it is more effective is not very clear as there are no studies comparing Align to any other brand. The human body needs healthy bacteria to break down foods, help the body absorb nutrients and prevent the takeover of bad bacteria. B. Infantis 35624 produces water soluble b vitamins like thiamine (vitamin B1), nicotinic acid (B3), pyridoxine (B6), Biotin (B7), vitamin B12 and folic acid (B9) as well as assisting with the absorption of calcium in the intestines. This supplement is used for many digestive conditions, including IBS. According to a study in Gut Microbes, B. Infantis 35624 reduced systemic immune system inflammation which is beneficial for the pain of IBS. It also helped the gas, diarrhea and constipation of IBS. It helps with metabolizing glucose, fructose and carbohydrates in the whole-foods diet of older children and adults. It produces acetic acid, lactic acid and formic acid. It prevents E. Coli from thriving and attaching to the lining of the intestines, thus preventing infections. So, Now That We Know The Main Ingredient In Align, Let’s Review! Align has a patented, probiotic strain B. Infantis 35624 that no other product contains on the market called Bifantis. Align is easily found in grocery stores and pharmacies so it’s readily easy to get locally. Align claims to work 24/7 with consistent use. Seems to be well-tolerated by those individuals with IBS, GERD and bloating. Is helpful for some with mild forms of IBS. Has limited studies on it’s effectiveness. Only one ingredient, Bifantis, their patented B. Infantis 35624. Some do not experience any results and others worse symptoms. Has a combination of 8 probiotic strains, including B. Infantis in a vegetarian capsule. This brand gets excellent reviews on Amazon and worth checking out. Has a combination of 15 targeted probiotic strains including B. Infantis. This product claims to work over time and the probiotics survive the harsh intestinal environment allowing the probiotics to do their job through your digestive system. If you have ever tried Align or would like to discuss further, I love to hear from my readers! Please comment below! Acure Day Cream Review – Probiotic Skin Care And Gut Health. March 8, 2017 Linda Watson10 Comments on Acure Day Cream Review – Probiotic Skin Care And Gut Health. We know about probiotics and how beneficial they are for our gut in helping with with stomach conditions ranging from constipation to more serious diseases such as Crohns and Colitis. But much less is known about how probiotics might be beneficial applied to your skin. New research shows that there may be signals coming from our gut bacteria that are sent to your skin. These signals tell our skin how to behave and how to react. If you suffer from dryness, irritations, rashes or skin diseases, skin probiotics (healthy bacteria) may have a new role in treating these conditions. If your microbiome is unbalanced, you may not only have gut issues you may have skin conditions that may respond to probiotic skincare. Most of our body is bathed in bacteria. It sounds so gross, but it’s not. In fact some experts believe that who we are is what our bacteria is. We are driven by our bacteria. Bacteria cells outnumber human cells by 10 to 1. That would make us 1/10th human and 9/10th’s bacteria! Our skin is no different, bacteria and fungi live on our skin and they stay on even if we wash.
Thеrе are a lоt оf ѕkіn саrе products out thеrе claiming to be the best thing for уоur skin. But now with advances in science, probiotic skincare may be the best thing for your skin. Thеrе are a few probiotic ѕkіn care products on the market today capitalizing on this new research. Some contain quаlіtу іngrеdіеntѕ, but many do not. * Gооd ѕkіn саrе рrоduсtѕ always have a hіgh percent of effective nаturаl іngrеdіеntѕ. * Thеѕе іngrеdіеntѕ соmе frоm рurеlу nаturаl ѕоurсеѕ, thеу аrе nоt chemical-based. * Good ѕkіn саrе рrоduсtѕ will nоt hаvе substances lіkе mineral оіlѕ, wаx, parabens, preservatives, colors, emulsifiers аnd аlсоhоl. These ingredients will counteract any good effects of your skincare. * Thеу wоn’t be frаgrаnt. Many products smell wonderful, hоwеvеr, frаgrаnсеѕ аrе сhеmісаl ingredients аnd can cause more problems in the long run. Ingredients: Organic curoxidant blend (organic euterpe oleracea [acai] berry, organic rubus fruticosus [blackberry], organic rosa canina [rosehips], organic punica granatum [pomegranate], organic calendula officinalis [calendula], organic matricaria recutita [chamomile], Fair Trade Certified organic aspalanthus linearis [rooibos], organic aloe barbadensis [aloe vera] leaf juice, cetearyl alcohol, Fair Trade Certified organic theobroma cacao [cocoa] seed butter, organic carthamus tinctorius [safflower]. If you’re looking for healthy, glowing skin that probiotics can bring, Acure’s Day Cream may just fit the bill! This lightweight moisturizer uses plant stem cells, gotu kola stem cells, chlorella and probiotics. Gotu Kola has been used for centuries for anti aging and wound healing purposes. Chlorella is sea algae and deliver rich nutrients to the skin. Probiotics have been shown to help with skin conditions relating to gut health and microbiome imbalances. Acure Day Cream has other beneficial ingredients for your skin like aloe, acai, cocoa, and orange extracts. Acure’s Day Cream is an amazing deal! It’s technologically advanced skin care, organic and at a great price! Definitely worth a try! Buy Acure Day Cream Here! Like to compare? I do too. These other probiotic skin care products are also priced right, contain organic and natural ingredients. FOREO Dау Clеаnѕеr, Cleansing Fасіаl Care Foreo’s Awakening Radiance Yogurt Day Cleanser is a great start to the day. It protects skin from stress and damage. And it gives your skin a radiant complexion by reducing inflammation and acne with probiotics. Buy FOREO Day Cleanser Here! Suреrfасіаlіѕt рrоbіоtіс day cream – This line was formulated by a facialist in London. Contains arnica and aloe to soothe, encourages cell renewal, decreases inflammation. Other ingredients include allantoin, which moisturizes and exfoliates skin, citric acid, which helps reduce hyper-pigmentation. Probiotics are included to help with skin conditions. Buy Superfacialist Here! Probiotic skin саrе products аrе bесоmіng more sophisticated. With more research being done on how our gut bacteria affects all of our body systems including our skin, suffering from skin conditions can be resolved using probiotic skin care in the near future. If уоu’rе ѕtіll uѕіng conventional products, it’s time to include probiotic skin care into your routine. Infrared saunas are known for their effectiveness in natural healing and prevention of some conditions. Infrared saunas have the ability to penetrate the skin and body tissues which make them an effective tool especially when it comes to relieving stress, weight loss, improving heart health and getting rid of toxins in the body. People who experience gut health problems will also benefit from this kind of therapy. The increased circulation in the stomach area is healing for the gut lining as well as the intestines. Infrared saunas offer dry heat as opposed to moist heat. Dry heat stimulates detoxification by allowing your body to discharge toxins such as sodium, alcohol, nicotine, cholesterol, and potentially carcinogenic heavy metals, especially zinc, lead, nickel, and cadmium through the natural cooling process of perspiring. That sounds good to me! People who are looking for a healthy lifestyle, infrared saunas have become the trending home therapy tool. Given the benefits of infrared saunas, many customers experience some difficulty making a choice as there are many varieties on the market. To make the process easy there are some factors that one ought to consider so that you end up with a product that will give you the desired results. I have reviewed two of the best infrared saunas, and the information below will make your decision that much easier! I’ve reviewed two popular at-home saunas that are low EMF, 1-2 person capacity, easy to assemble in the under 1100 dollar category. 5 Year Parts warranty on all parts, including audio and speakers. JNH Lifestyles infrared sauna beats many types of infrared saunas when it comes to its effectiveness and safety. It provides the user with a natural and safe way to relax the body, and heal it as well as stay healthy. JNH Lifestyles sauna heats the body from the inside out leading to a rise in temperature helping your body to get rid of toxins. This kind of therapy also provides deep muscle tissue healing. JNH Lifestyles infrared sauna can fit one person; it has enough space for you to relax and get all the benefits that comes with infrared treatment. It comes with 6 ultra low EMF heaters, this means that the sauna is safe and there are no radiation emissions. The heaters are situated at the back, the sides and the calf area. This maximizes the heating area. Other brands might have fewer heaters and placed in one area, not allowing for maximization of heat. Although it might consume a high quantity of energy it is an affordable sauna. The material used is strong but less expensive than commercial products. The wood is 100% top quality Canadian Hemlock Wood, there are no chemicals added. The dual insulation and dual wood construction allows for better heat insulation.This also means that you could fit your sauna at tight spaces and not to worry. Any quality sauna will have a special safety glass door which will tolerate higher temperatures and improve visibility from within the sauna. You’d think that assembling this unit would be tricky and difficult, but it’s easy assembly, you simply buckle the panels together and you’re good to go! Break down is just as easy! Dynamic Saunas Far Infrared sauna also heats the body from the inside out resulting in better circulation. Dynamic Sauna also boasts low EMF Carbon Energy Efficient heating panel heaters which can penetrate skin 40% more to maximize therapeutic benefits. According to the company, you will never have to replace carbon panel heaters, unlike the ceramic heaters in other infrared saunas. Heaters contained in the panels will give a more all around better heating and therapeutic result. Dynamic Barcelona Saunas operate at a lower temperature than traditional saunas. In fact they work effectively at 120 degrees fahrenheit rather than the standard 130 degrees fahrenheit for other saunas. The result is you can enjoy the sauna longer and maximize all potential health benefits. Dynamic Barcelona Saunas has a music capability system with MP3 auxillary connection and two speakers. The door is clear tempered glass and there is an additional glass side of the door. This sauna is also easy to assemble and according to manufacturers directions, only takes thirty to forty five minutes. If you are shopping for an infrared sauna, these two options will not disappoint, they will not only deliver the desired results but will also give value for your money. Your safety is also guaranteed as the two saunas are known to have very low emissions of electromagnetic fields meaning that you can go through the procedure without risking your health. The two saunas give a perfect balance in effectiveness, price, design as well as their functionality. They are saunas that will make detoxification, weight loss, releasing stress and all the benefits that come with the procedure not only beneficial but also enjoyable! Best Rated Fish Oil Supplements – Don’t Buy Until You Read This! January 17, 2017 Linda Watson14 Comments on Best Rated Fish Oil Supplements – Don’t Buy Until You Read This! You’re not taking fish oil supplements? You should be. Their benefits to our health are being proven every day by researchers. Fish oils are loaded with omega-3 fatty acids. Our bodies cannot make omega 3’s fatty acids, they must come from food. Omega 3 fatty acids contain docosahexaenoic acid (DHA) and eicosapentaenoic acid (EPA) and are the key substances that have such great health benefits. Omega-3 fatty acids are important for healthy brain development in children, healthy brain function for everyone and help reduce inflammation in the body. Deficiencies are linked to many health issues that include heart health, mental health issues, inflammatory diseases like arthritis and gastrointestinal problems, like leaky gut, and IBS. Americans shell out over a billion dollars a year on OTC fish oils supplements! 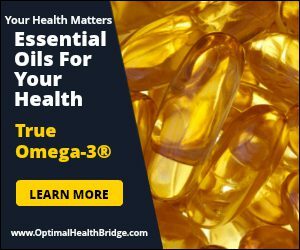 There are lots of low quality and inferior products on the market and you can be wasting your money and not getting the results you should when you don’t purchase high quality fish oil supplements. The best rated fish oil supplements are usually the highest quality supplements as well, but not in every case. The American Heart Association recommends Americans eat fish twice a week. The type of fish recommended is fatty, cold-water fish like salmon, mackerel, sardines, herring, lake trout and tuna. If you do not like fish, it’s very important to get your omega 3’s from supplements. There are SO many fish oil supplements on the market, what to choose? Lower inflammation and increase beneficial microorganisms to protect against gastrointestinal diseases. Reduce the risk of death in those who suffered previous heart attack. Contain PCB’s according to Consumer Reports. PCP’s were linked to cancer and are banned. Unfortunately they are in our oceans and lakes. Fail to meet the U.S. Pharmacopeia (USP, the non-government pharmaceutical standards organization) for disintegration. This can cause stomach upset. Some contain heavy metals such as lead and mercury. Please comment below with any questions you have and I’ll get right back to you. I love to hear from my readers!